The Camoux Fiberglass Planter, with its long narrow profile, provides the ideal foundation for a stunning centerpiece when space is a top consideration. With its 54 x 8 x 18 dimensions, it also can serve as a backdrop to other design elements in interior or exterior landscaping projects. Paired with high profile greenery, the planter can be used to accent or provide privacy for lobbies, walkways, entryways, balconies and reception areas with a blend of nature and style. The planter features a contemporary, sleek design that works well with a wide range of indoor and outdoor landscaping schemes. 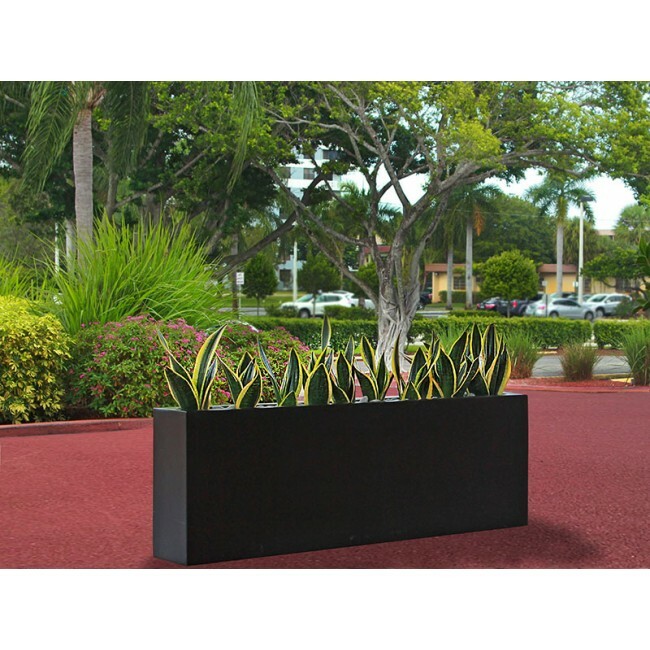 With the Camoux Fiberglass Planter available in 16 colors, including bold tropical hues like Gloss Tangerine or sophisticated, neutral finishes like Matte Charcoal, the opportunities to deliver a custom look are seemingly unending. 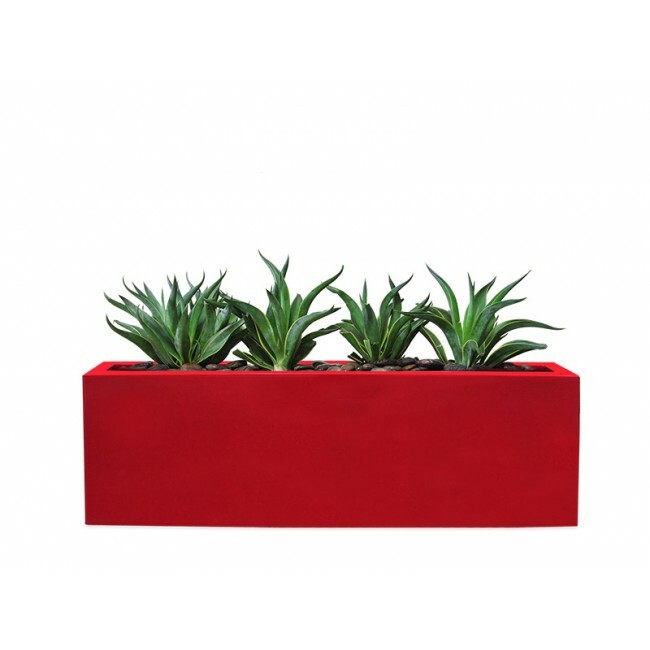 Handcrafted of high quality materials, the Camoux Fiberglass Planter is as enduring as it is stunning. 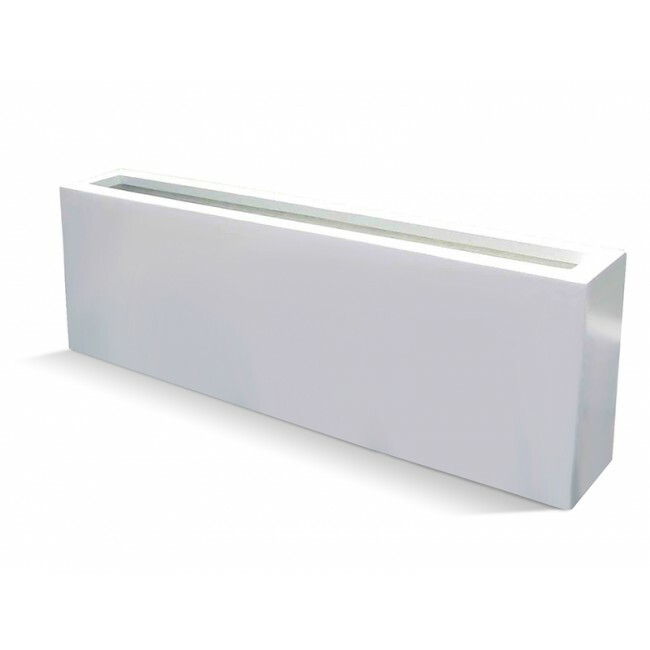 The fiberglass composition gives it a lighter weight but provides the durability to withstand all weather conditions, including extreme heat and freezing temperatures. The premium automotive grade finish also ensures that the colors are enduring. Custom Color Options Available. 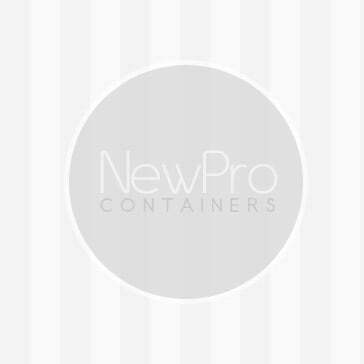 Call 800.869.9285 for Details. Interior: 32.5" x 4.5" x 18"
Interior: 44.5" x 4.5" x 18"
Interior: 50" x 4" 18"